Weekly home facials are a must for me these days and I tend to do them before a bath or leave a mask on during bath to give it more time to soak into the skin. I don't wear make up daily, it's probably only once a week yet I feel there is an awful lot of build up and gunk on my skin so I do a home facial weekly for a deep cleanse and hydration is so important. 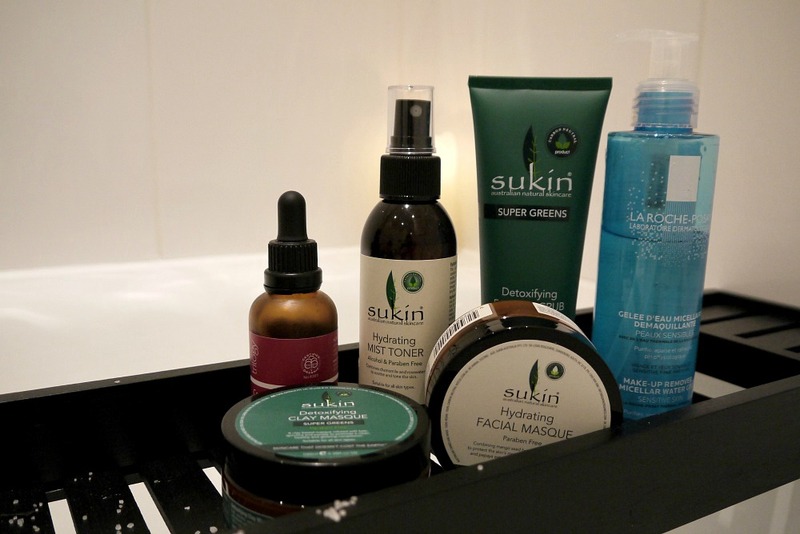 Here are my 5 simple steps to gorgeous healthy pumped skin! Remove all make up with La Roche Posay make up remover micellar water gel. It's gentle on the skin and very affordable when Boots offer 3 for 2 on their products. 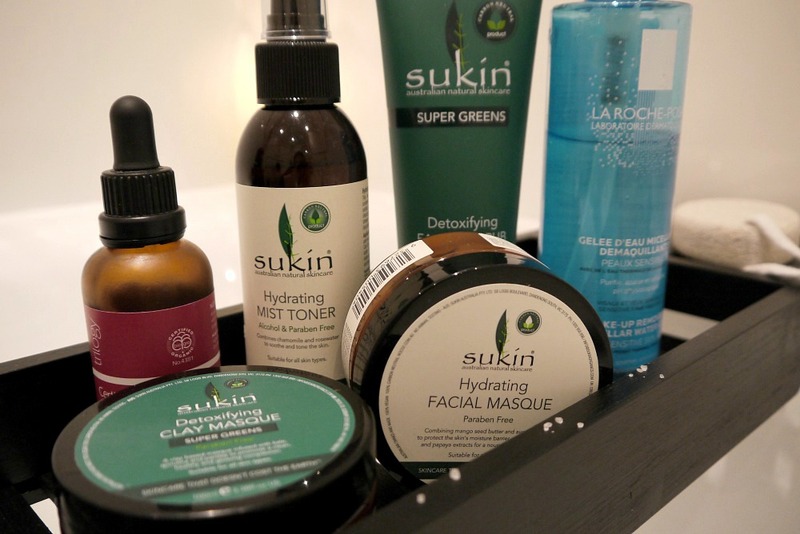 It's buffing time with *Sukin Super Greens Detoxifying Facial Scrub. This is a natural blend of ingredients with micro jojoba beads to gently polish the skin removing the dead skin cells leaving your skin decongested and able to absorb products better. Once all the buffing is done it's time for face masks and no facial is completed without a face mask of some sort. I generally have an oily t zone and the rest of my skin tends to be dry so I like to use 2 different masks to tackle the 2 problems. Sometimes I would use GLAMGLOW thirsty mud on my t zone then rest of the face Sukin Hydrating Facial Masque. Once everything is washed off I love spritzing Sukin Hydrating Mist Toner all over my face / neck because it's so refreshing. This is my 2nd bottle and I managed to pick it up discounted in TKMaxx the other week. 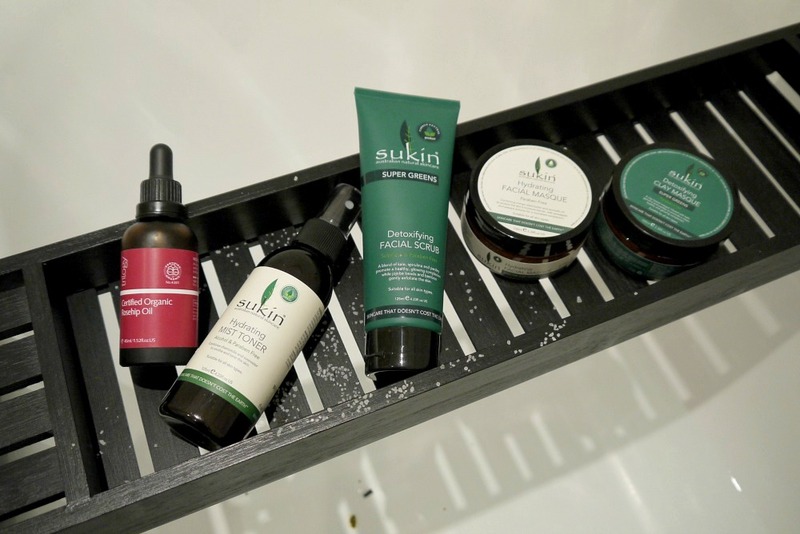 They also have in stock a few other Sukin items so it's worth popping down to your local and see what they have but be quick before they sell out. Final step is Triology Organic Rose Hip Oil in replacement of a moisturiser. This amazing oil is clinically proven to improve skin moisture by 44% and decrease the appearance of wrinkles / lines by 23% and improves softness by 21% within just 8 weeks. The oil absorbs instantly leaving no oil residue so after a pamper session it absorbs even faster. If you can take out a good hour in your evening once a week you will see results over a period of time. Make use of your time for example cleanse your face then scrub and quickly put your mask on and you can sit down to watch a bit of TV before getting in the bath and washing it off. 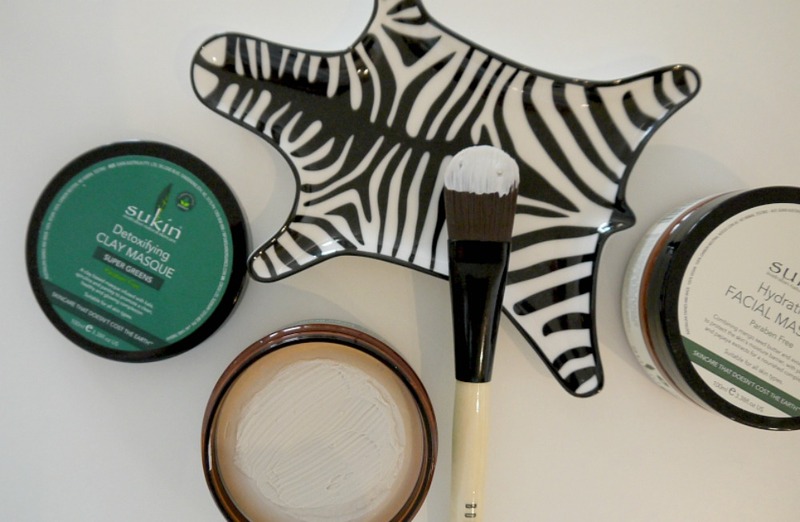 What are your must have / essential beauty items for a home facial?